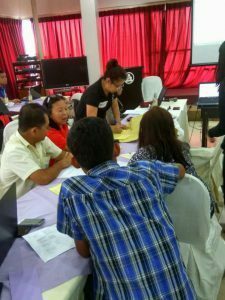 Participants during the Coastal Law Enforcement Training-workshop for the Siquijor Province Coastal Resource Management Alliance. Photo by CCEF-Project ISDA. 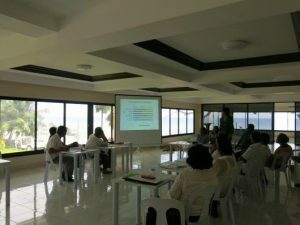 The aggressive intrusion of commercial fishing vessels into the municipal waters of Siquijor Province and the rampant use of destructive fishing methods, such as chlorine fishing, led to a three – day coastal law enforcement (CLE) training-workshop, in an effort to strengthen the Siquijor Province Coastal Resource Management Alliance (SPCRMA) – Task Force. 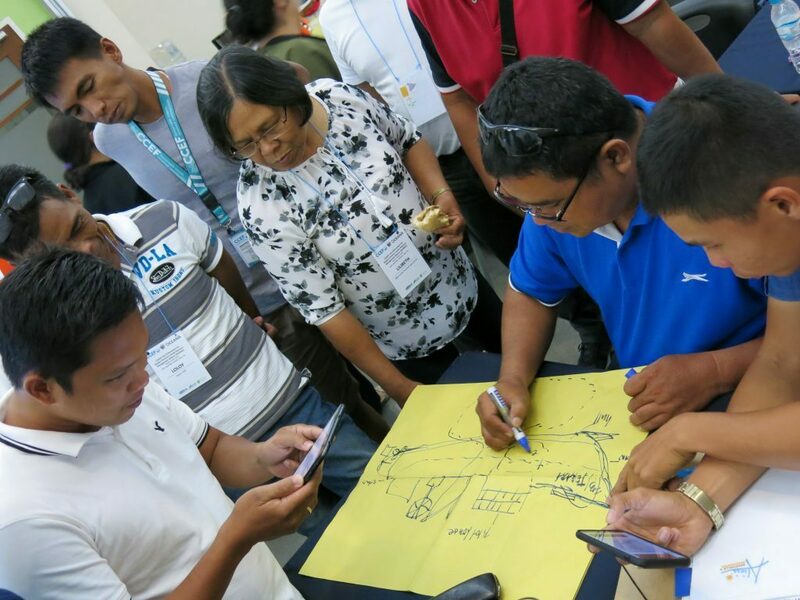 This activity was held in Banilad, Cebu City last March 18-20, 2019 and was led by OCEANA in partnership the Coastal Conservation Education Foundation (CCEF), Foundation for the Philippine Environment (FPE), UNICO Conservation Foundation and Siquijor Province – Office of the Provincial Agriculturist. 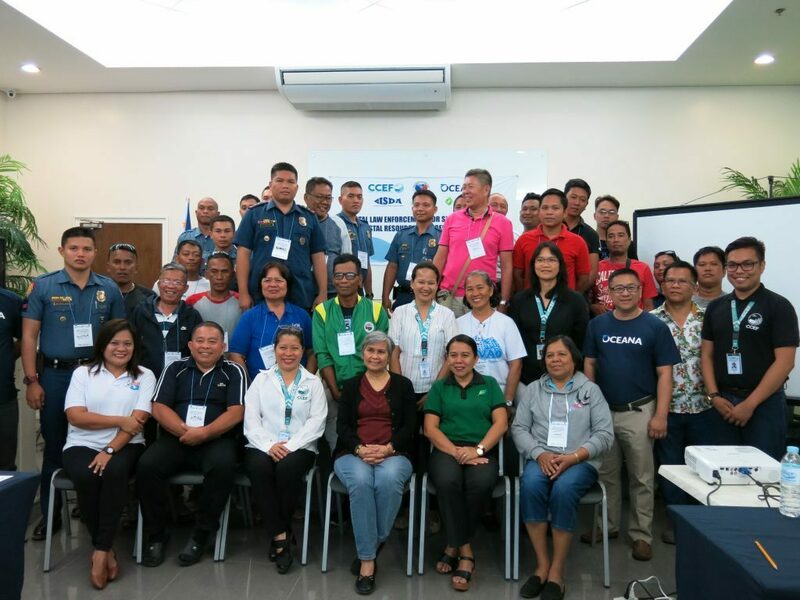 SPCRMA is an inter-LGU alliance, at the same time a network of marine protected areas, formed in August 2018 as part of the “One Province, One Team” vision of Siquijor Province and through the assistance of CCEF-Project ISDA (Isda Siguru-on Damgong Makab-ot Pinaagi sa Alyansa). More than 30 participants attended this multi-sectoral training-workshop which included local staff from the Provincial Agriculturist Office, local government units, the Provincial Bantay Dagat, the MPA Bantay Dagat and fisheforlks, DENR, BFAR and members of the Philippine National Police and the Philippine Coast Guard. GPS Plotting Exercise. Photo by Aileen P. Maypa of CCEF-Project ISDA. 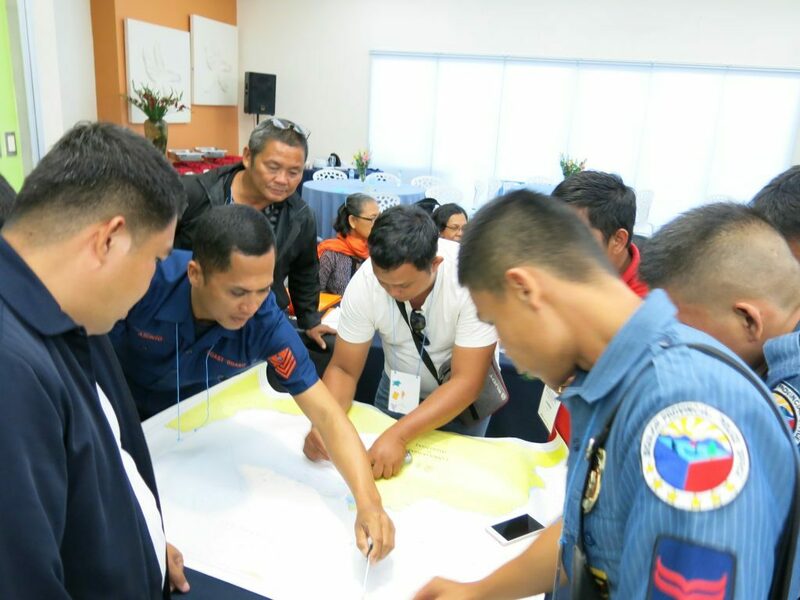 In addition to strengthening the SPCRMA – Task Force, another major objective of this activity was to formulate an effective operational plan and manual specific for Siquijor Province and its municipalities. Lectures and workshops for two days included a suite of topics on CLE, global positioning system and plotting exercises, social and economic issues on fisheries, laws and regulations on commercial and compressor fishing, search, arrest, seizure and custodial investigation, understanding SLAPP suits, affidavit making, vessel identification, pre-boarding and boarding protocols and shipboard arrest techniques. Draw your boat exercise during the CLE Training for SPCRMA. 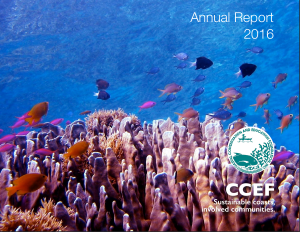 Photo by CCEF Project ISDA.